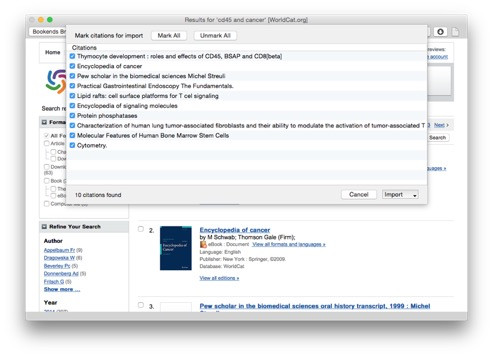 Search for and import references from many online sources, including PubMed, Web of Science, JSTOR, Google Scholar, the Library of Congress, Amazon, and hundreds of universities and institutions from around the world (some sites require that you have access privileges). 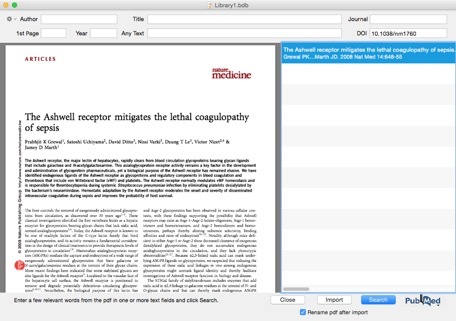 Import the references you find into Bookends with drag and drop or a single mouse click, and if searching PubMed, Web of Science or JSTOR, the pdf as well. If you already have the pdf with the doi, import the reference information (author, title, etc.) 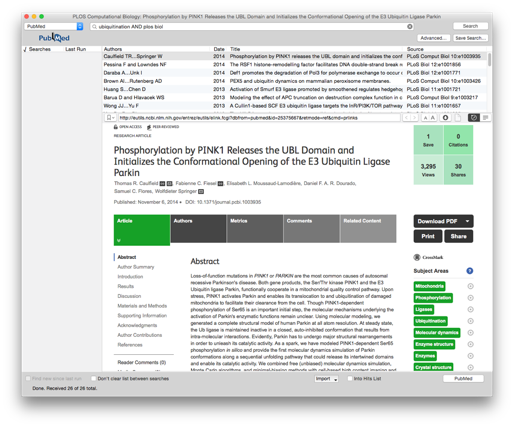 from PubMed or Google Scholar with a simple drag and drop. 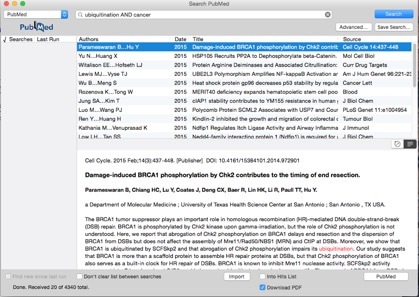 If you have the PubMed ID (PMID), Digital Object Identifier (DOI), or ISBN, autofill or update the article or book details from PubMed, CrossRef, Google Scholar, or Amazon without lifting a finger. 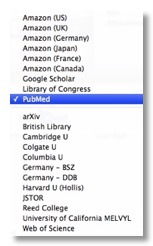 If you have the pdf of an article, you can use Autocomplete Paper to fetch the reference details from PubMed, Google Scholar, CrossRef, Web of Science, or JSTOR and import it directly into your library (Web of Science and JSTOR require access privileges and ip authentication). 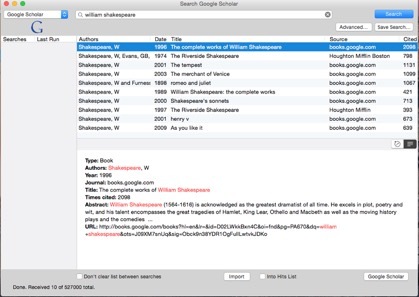 Use the built-in Online Search browser in a separate window or integrated with the reference library to navigate to Web sites containing the full text or pdf of the references you have found. Download both the reference and the pdf or web page in one step. This is automatically available for PubMed, Web of Science, JSTOR, Amazon, Google Scholar, and arXiv, but you can navigate to any site and download pdfs/web pages. You can just as easily automatically create an "Internet" reference for any web page you find, with the title, URL, and date of access already entered. 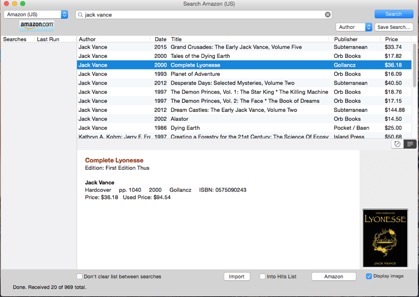 Data detectors let you also find and import embedded reference metadata from sites like JSTOR, CiteULike, Copac, Wikipedia, OCLC WorldCat, and more.